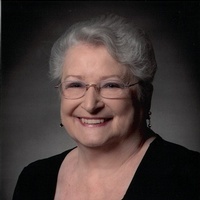 Allie Mae Owen Payton, 82, journeyed into Heaven on February 27, 2019, at LSU Medical Center in Shreveport, Louisiana, following a stroke. She was born on March 3, 1936, in Brister, Arkansas, to Arthur Robert Owen and Gladys Thelma Kendrick Owen. She had two brothers, Fred and Carol, and one sister, Dorothy. Allie grew up in Emerson, Arkansas, and spent most of her adult life in Shreveport, Louisiana. After being a stay-at-home mom and raising her four sons, she attended Northwest Louisiana Technical College in Shreveport, became a Licensed Practical Nurse, and worked at Willis- Knighton Medical Center for many years. Allie was an active longtime member of North Highlands United Methodist Church where she volunteered and directed the Food Pantry. Her favorite activities included RV camping, cross-stitching, reading, and traveling. She went on numerous cruises that took her to destinations all around the world. Allie was well known for her great down-home Southern cooking and enjoyed hosting family holiday gatherings. Though small in stature, she had a big heart and will be remembered for her laughter and gregarious personality. Allie was preceded in death by her first husband, James (Jim) Donald Kahre, and her second husband, Wayne Cletus Payton. She is survived by her four sons and their spouses; James Donald (Donnie) Kahre, Jr., and Cindy, Malcolm Owen Kahre and Lee, Steven Scott Kahre and Tina, and John Kendrick Kahre and Alayna. She is also survived by one stepson, Dr. Robert Michael Payton, eight grandchildren; Scott and wife Kimberly, Ryan and wife Hailey, Zachary, Lauren, Joel, Ty, Emily, and John Jackson, three step-grandsons; Greg, Steven, and Matt, as well as two great-granddaughters; Grace and Avery. A celebration of Allie’s life will be held on Monday, March 4, 2019 at Forest Park Funeral Home in Shreveport with a visitation at 12:00 noon followed by a memorial service at 1:00 p.m. The family requests that any contributions in Allie’s memory to be made to North Highlands United Methodist Church for their Food Pantry, or to a charity of the donor’s choice. Also, the family wishes to thank the staff at Brookdale Senior Living for the care and compassion shown to Allie during her time there. Allie’s warm smile and loving spirit will be great missed by her family, as well as many others who were fortunate enough to have known her.